Come on now. I wouldn't be writing a blog in Madrid without the classic Churros con Chocolate post! Don't get me wrong, I love my tortilla and jamon, but on Saturday night it was time to take a break from Spanish cuisine. 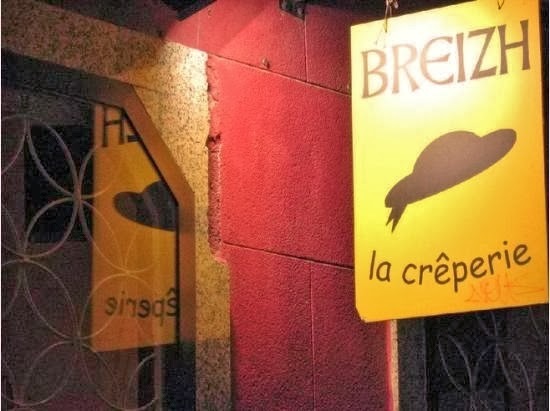 A friend I work with, Roxanna, is from Paris and invited me to dinner at a French crêperie called Breizh for a traditional Brittany dining experience. When I was studying in Greece I tried my fair share of crêpes, both savory and sweet, but something told me these would taste different- and they did! My idea of French food consists of cheese, wine, baguettes and macarons. I mean, what more do you need, really.. I have never been to France nor have I ever been close to anyone from the country so my knowledge of its cuisine is actually quite limited. When Roxanna invited me to go out with some of her friends I was thankful to try something new and expand, if only a little, my limited idea of french food. Five of the 27 present on Saturday.. It has been weeks since I've visited Nacho's family, so it was with smiles and open arms that we reunited at the house of Nacho's brother, Daniel, with the entire family for a big lunch on Saturday in Boadilla.